Writer, editor, reviewer, world traveler, blessed with many good friends and loving family. Counting On You, book 1 in my OCD Murder/Mystery series is launching today on Amazon! Especially for you fellow writers, we all know how important launch day is to a new ebook — swimming for its life in an ocean of other new books. Would you please give a fellow author a quick bit of help and go look at the page? It’s not the worst story you’ll ever read. Some people quite like it. Could make a good summer read. If you like it, please review it there. If you don’t, I’d rather you share your comments here. Once again a casualty of one of Baltimore’s many IEDs, Intentionally Embedded Devices, I’m regarding my swollen left knee as I lay with it elevated and iced, and recall the raised water main cover that got me this time. Craftily planted near the end of a street with a stop sign, and in the crossing path of pedestrians, it lurks mostly hidden by cars which line up over it as they await their turn to pull out onto W. Mount Royal Ave. Thus, if you’re unfortunate enough to arrive at the curb when a car is in position, you have no reason to suspect there’s anything there but flat pavement, which you’re going to hustle across because there are lots of impatient drivers who seem willing to run you down. Toting a couple of grocery bags, I saw my break and strode quickly out, timing it as the car at the stop sign was moving away. Bam! Down on my left knee hard, benighted by Baltimore once again for doing battle with it’s terrain. Abrasions on my palms, groceries in the street. The last time, the IED was a loose brick on the Bolton Hill side of the street. It was a hot sunny morning and I decided to go for the shade. Boy, was it ever shady. On the quaint old sidewalk a perfect brick lay positioned, level with all the rest. The one just past it had a chunk taken out of it, so you can be sure I wasn’t going to step on that one. 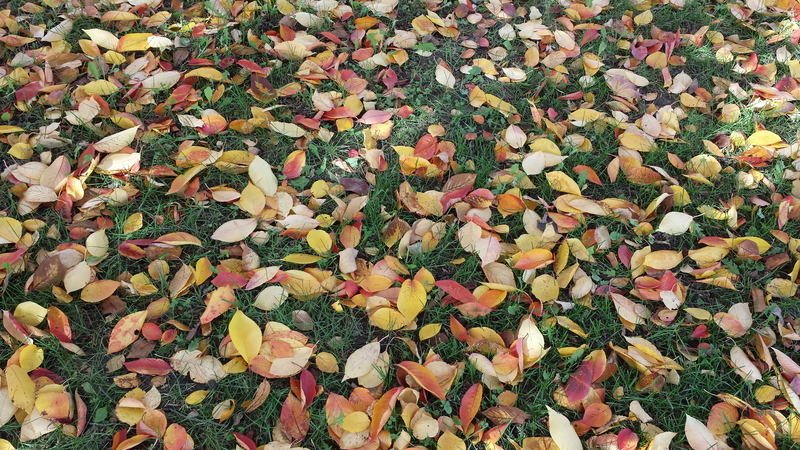 The ball of my left foot planted on the perfect brick, which rocked forward into the open space created by the missing chunk and launched me like a baseball player sliding headfirst into first base. Torn pants, abraded and bleeding palms, but a survivor. Thinking back to a Sunday matinée at the BSO, and watching many older people limping in on canes, stumping in on walkers, and rolling in on wheelchairs, I wonder how many of them are just succumbing to old age and how many are victims of Baltimore’s land mines. Comedy draws its strength from the emotional pain people carry deep inside. Comedians invite us to laugh along with them as they point out how the world is stupid and cruel. We feel better when their perspectives add to our wisdom and ease or at least share our pain. Unfortunately, what’s still considered humorous in some communities is often racist, misogynistic, or sadistic in its intent. I didn’t feel comfortable with it growing up, and education has enlightened me more. Now I consider this type of comedy a form of humor only in light of its absurdity. A recent novel I read makes fun of racism. It casts a comedic perspective on absurd racist humor. Yet, the author was criticized by both self-righteous reviewers who didn’t get the sarcasm and felt insulted, and those who also didn’t get the sarcasm but liked the slurs. Sadly, both types appear to be the life of the party everywhere. The novel, Chinese Cooking for Diamond Thieves, by Dave Lowry, helps to confirm my belief that smart comedy provides part of an ultimate remedy for racism, sexism, and most of the other “isms.” The full cure probably requires non-separatist educational systems and global open-mindedness. Yeah, I know, “In the best of all possible worlds, Candide…” quoted from a good book which is also comedic; exposing absurd “isms”, including perfectionism. I’ve been exploring character development while writing a novel. Modern opinion holds that conflict is key: describe a character, make things go bad for that character, make things go worse, then attain redemption through character growth. By permission of the creative mind, which allows for “What if?” scenarios, I’m drawn to a story of biblical proportions – literally. Suppose that after six days of solid creation, God kicks back to relax on the seventh, and perhaps to review what he has done. Up until this point, he saw that it was good. Maybe too good. What if he gets bored watching bucolic bliss in the Garden of Eden, a repetitive plot where nothing exciting happens? Perhaps he edits things a bit? As the Great Redactor (translation – editor,) author of history itself, he might not come off as benevolent if the story points to him just messing things up for his own diversion. Those darn plot dilemmas! Great for character development, but tough on the writer in consideration of his fan base. What if he throws the main characters a problem? “Here’s a special tree with delicious fruit. Now, don’t eat of it.” And then they don’t. Boring. How about creating an antagonist, Satan, to induce them to eat the fruit? It works, but more through good marketing than character flaws in the main characters. Crickets. How to make this story sizzle, and the ones after it? Androgens! Instead of continuing to come off as heavy handed with external influences via bad guys, natural disasters, impossible commands, etc, why not tuck some chemical activity inside humans to induce desire, fear, envy, rage, and all sorts of internal motivations. Bingo! Take away the testosterone, eradicate the estrogen, and negate progesterone, and you might as well be…in heaven? 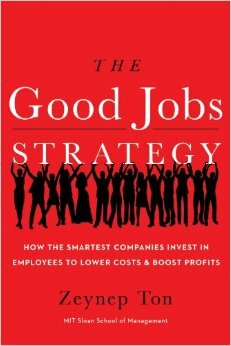 The Good Jobs Strategy: How the Smartest Companies Invest in Employees to Lower Costs and Boost Profits, by Zeynep Ton, is a book about a better economic tomorrow, which is threatening to come too late for many of us. The current standard of corporate policy has weakened our middle class, a level of society crucial to a stabilized government. The Good Jobs Strategy is a resolve for the gets-us-nowhere arguments between conservatives and liberals. Save costs and make more profits? Check. Treat people like human beings with rights and dignity and create ethical businesses that consumers need and love? Check. Do both at the same time? Check. The author provides research proving that the best way for businesses to lower costs and boost profits is by investing in their employees. By offering employees a living wage right from the hiring with benefits and proper training, normalized work hours and a positive work environment, companies discover that retention rates soar. Employees enhance their services and production. Despite increased cost for HR at the beginning, studies show that well-trained healthy employees, able to maintain a decent home and family life, do a consistently great job at work. The author logically details how this strategy works. She is an adjunct associate professor at the MIT Sloan School of Management and was previously on the faculty of the Harvard Business School. I highly recommend the book and support of such companies.